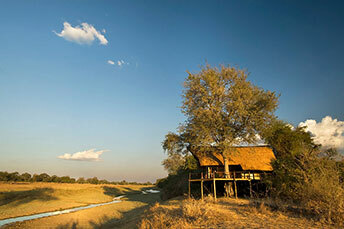 Last month I was invited to run a 5-day training course for guides at Lion Camp in Zambia’s South Luangwa National Park. This stunning tented lodge is located in a remote section of the park with fabulous game viewing opportunities and is about two hours’ drive from the main entrance gate. 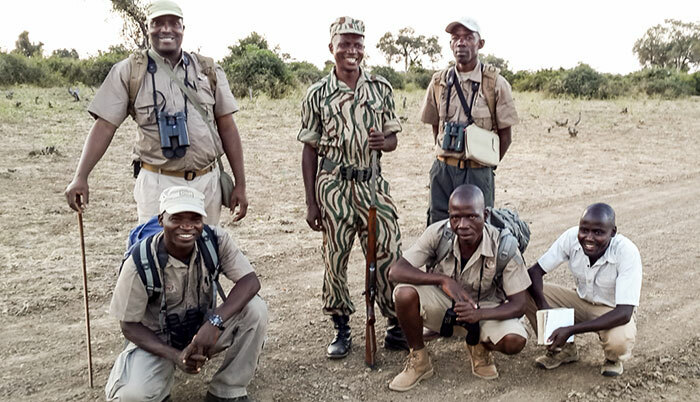 They have put together a new team of experienced professional guides who were keen to update themselves on the latest taxonomy and animal behaviour and improve their knowledge on many of the smaller things like butterflies and bugs as well as bird calls. Needless-to-say my camera was on hand during all activities, including drives and walks, and there was no shortage of photo opportunities during my stay! This also provided much practical discussion on vehicle placement for photographers, observations on animal behaviour as well as safety on walks. In between these field activities we spent time in the “outdoor classroom” discussing many different topics and finally conducting several tests including one on bird calls. I'm happy to report that all of the guides passed with flying colours and were all awarded with a certificate of competence at the end. 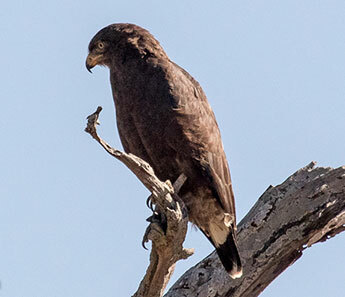 The uncommon Western Banded Snake Eagle is one of South Luangwa’s special species and this is certainly one of the best places to find this bird. Whilst I have been lucky to see the bird on many occasions this was my first opportunity to get a reasonable photo of a bird perched in the top of a tree. 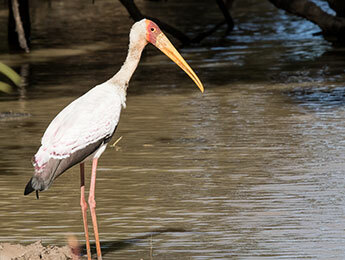 The guides managed to spot two different birds during our drives. 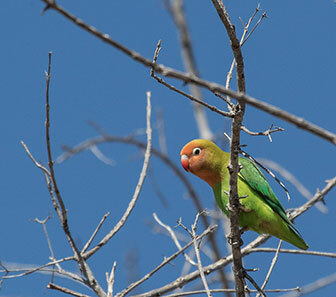 Another Luangwa special is the stunning little Lilian’s Lovebird. 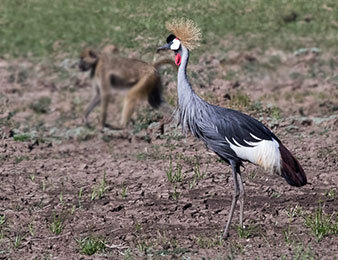 At this time of the year there are thousands of these birds flying around in small flocks in the area around Lion Camp and other parts of the park feeding on the seeds found in the extensive groves of bird bean or sicklepod (Cassia obtusifolia). 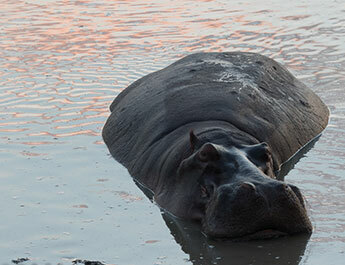 Another attraction is the massive numbers of hippos in the Luangwa River, estimated at around 18,000 and the highest population anywhere in Africa. The hippos here have not read the “book of hippo behaviour”. Contrary to the supposed fact that hippos should spend the hot parts of the day in the water, those in the Luangwa (and other destinations such as the Lower Zambezi Valley) regularly wander around in the heat of the day or lie basking happily (I presume) on the riverbanks even when the temperature reaches 40C or more. 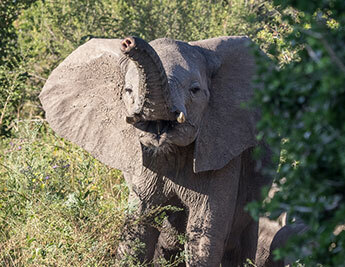 Elephants are another important and obvious part of the Luangwa wildlife community. It is thought that due to extreme poaching activities years ago those without tusks or very small ivory survived and the gene for tusklessness came to the foreground and right now many cows without tusks are common (maybe as many as 15-30% of the population in the Luangwa Valley could be tuskless). Snaring remains a huge problem here as in most other wildlife reserves in Africa and it is often not only the target species such as impala and puku that are caught in these wire snares but also animals such as lions, hyaenas, wild dogs and even elephants. 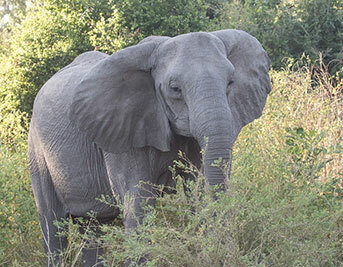 On one of our morning field outings we came across this young cow (below right) that had lost the lower part of her trunk to a poacher’s snare. Fortunately, the top part had healed and she was still able to feed and remained in good condition but she did show her displeasure at the presence of humans and who could blame her? 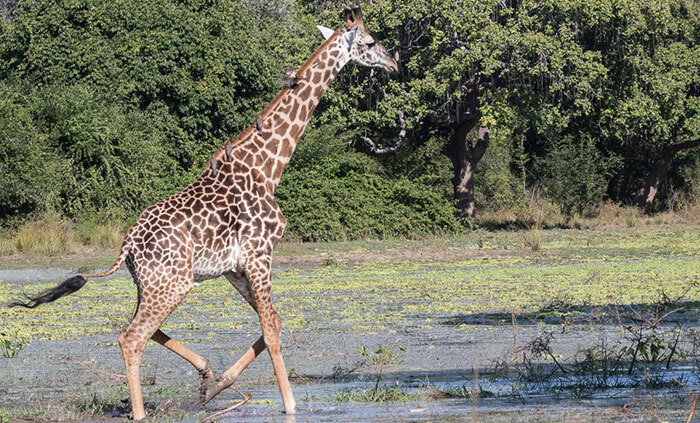 Thornicroft’s Giraffe is a giraffe subspecies that is endemic to the Luangwa Valley and we encountered many during our five days in the field. During the training there was a strong focus on some of the smaller things - including this beautiful butterfly - an Angola White-lady Swordtail. The training course took place a week before the lodge opened for the 2016 season and apart from a small visiting film crew, we had the place virtually to ourselves. 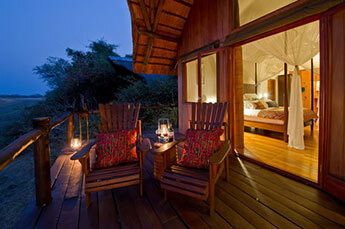 Accommodation was superb. 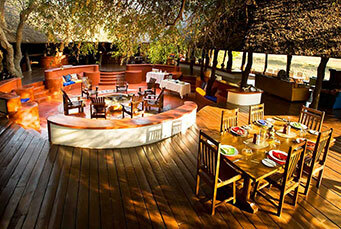 Lion Camp has just nine canvas and thatch chalets accommodating a maximum of 18 guests. Built on raised wooden platforms, they are linked to each other and the main area by a raised wooden boardwalk. 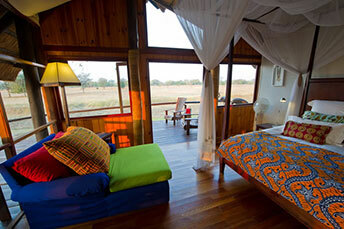 Each chalet is ensuite with a shower and toilet, and has a private deck overlooking the open plain in front. 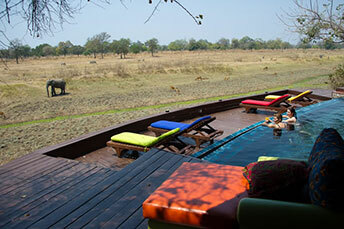 My chalet also overlooked a pool that attracted several hippos that were there to greet me at daybreak every morning. Access is easy with twice daily flights from Lusaka to Mfuwe where a representative from Lion Camp meets guests and takes them on the journey to the lodge which quickly becomes the first game drive of anyone’s stay. There are plans to continue the training program next year - and we look forward to it. 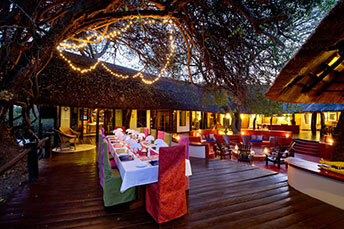 Many thanks to Lion Camp for the excellent hospitality!